First impressions matter, especially to potential tenants or buyers. The Maids will help you make a wonderful first impression with the most thorough move-in and move-out cleaning service in the area. Property managers and homeowners have depended upon us for over 28 years. With The Maids 100 percent satisfaction guarantee, you can trust that the house that you are moving into, or out of, will sparkle. Our cleaning teams include a team leader, and three additional cleaning specialists – all of whom are trained to meet The Maids high standards. Move-in and move-out cleaning teams work with maximum efficiency, which means the team tackles every corner of your property in less time than other cleaning services, and leaves your property looking like new. 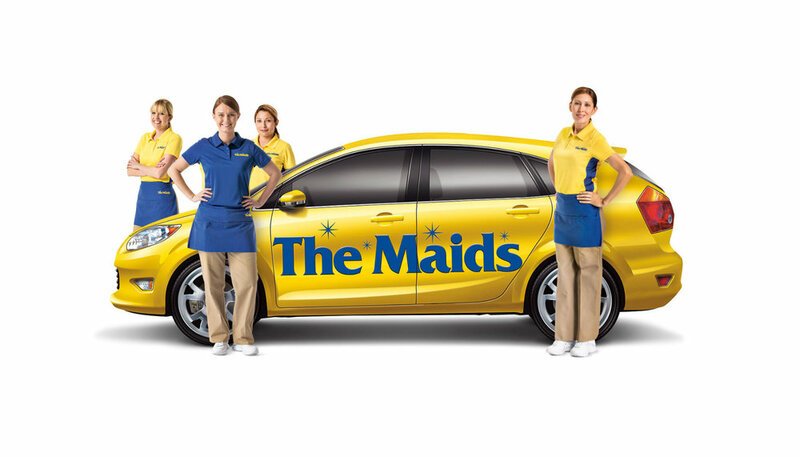 The Maids delivers a clean home – GUARANTEED. If you are not pleased with the results, let us know within 24 hours, and we will return to re-clean the area or areas needed for free. When The Maids clean your house for potential buyers, rental property clean ups , or future tenants receiving a tour of the house, The Maids will ensure your house looks sparkling clean and feeling fresh so it is move-in ready. Our standard 22-Step Healthy Touch® Cleaning System ensures each house we service is thoroughly prepped and cleaned. Property managers, real estate brokers, and home owners have always been happy they chose The Maids to handle their move-in and move-out cleans. When you contract with The Maids, rest easy knowing your property will always show like new. Our HEPA filtration and the use of Eco-friendly cleaning products are a staple of excellence. When The Maids clean your house, we reduce contaminants and indoor allergens, including dander, dust mites, and bacteria. This is a selling point you can use with potential buyers or renters. How Do I Contract for a Cleaning Service? The Maids do not use written contracts. If you want the service, we provide it. It is that simple! Our trained sales associates will take you through a simple series of questions, and design the perfect clean for your home. Call (703) 212-0100 or fill out the estimate form on the bottom of this page for a free, no-obligation quote. $60 Total Off Your First 2 Cleanings! © Daus Digital Marketing. All Rights Reserved.